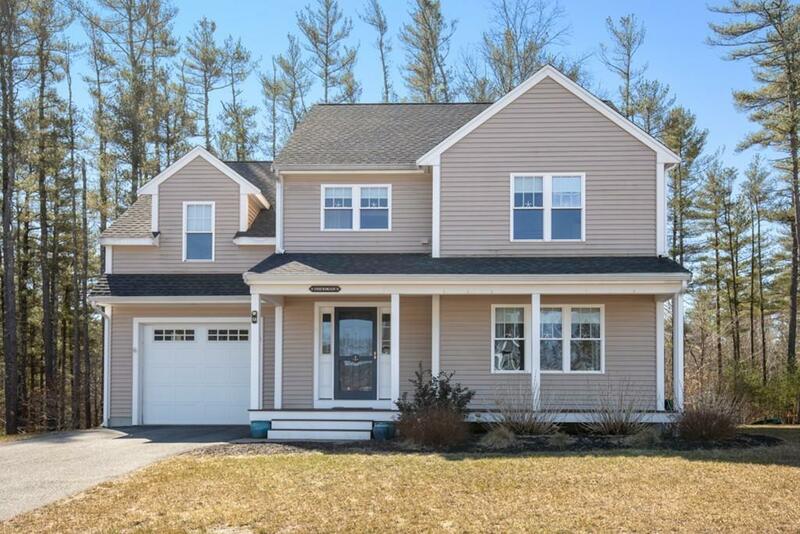 This newer construction colonial checks all of the boxes. Built in 2013, this lovely home features custom designs and high quality craftsmanship throughout. The first floor features an open concept with family room and adjacent eat in kitchen with cherry wood cabinets, granite counters, stainless steel appliances and a large, moveable island as well as a half bath. The second level includes a spacious master suite with two walk in closets and private bath, two additional generous sized bedrooms, a full bath and laundry room, which offers access to the walk up attic. A beautifully finished lower level is perfect bonus space and an attached garage makes for easy coming and going. Hardwood floors, crown molding, recessed lighting, central a/c, granite counters & vanity tops, gas cooking, front covered porch, a rear deck, wooded views and friendly neighborhood location - Come see for yourself - first showings at weekend open houses Saturday 4/6 1-3:00 pm and Sunday 4/7 1:30pm-3:00 pm.